Since customers do not obtain a aggregate service from service providers, a possibility for effort tracking by agents and assistance in subsequent accounting facilitates tasks for everyone involved. So time accounting helps to track effort by agents during ticket processing, definition of ticket categories for which time tracking should be compulsory, possibility of analysis. Go to Aritic Desk Dashboard > Settings > Reports > Time Accounting. 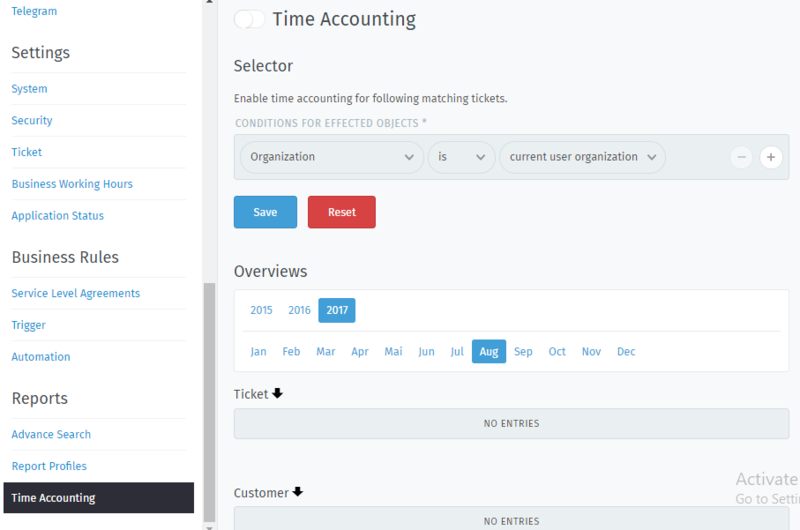 Now “Enable” the time accounting selector and activate it accordingly for the objects.